Several months ago while I was working on "The Definitive Collection" another department at BMG in London decided to capitalize on that high-profile release by producing a new 4-CD Lanza box-set as a part of their mail-order series "The Ultimate Collection" (not to be confused with the currently available single-disc Lanza compilation of the same name). In all, 82 selections are featured on the new collection and I know from working closely with the producer that great care and effort has been put into presenting these treasures in the very best possible sound. The audio quality on "The Definitive Collection" should give you some idea of what to expect here. I also recommended that BMG return to some of the original RCA Lanza recordings to cut down on track duplication between the two releases. 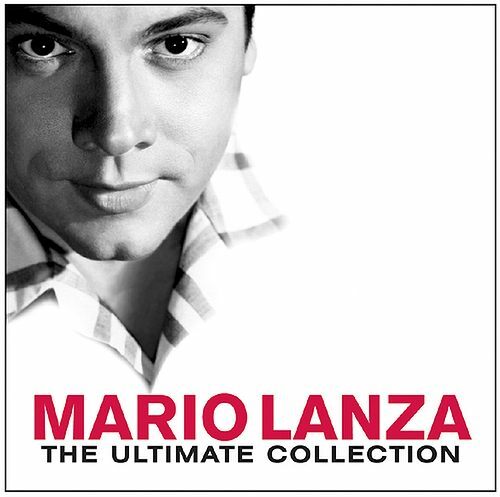 As with "The Definitive Collection", BMG will promote the new release with a TV ad tie-in, this time using excerpts from 15 Lanza recordings featured on the compilation. At present, the box-set is available only through mail-order in Great Britain. It will not be sold in stores. The new box-set also comes with a beautifully produced 12-page booklet containing many wonderful Lanza photographs.